The guest accommodation for Astrid Lindgren’s World has been built at the edge of the forest in connection to the park. 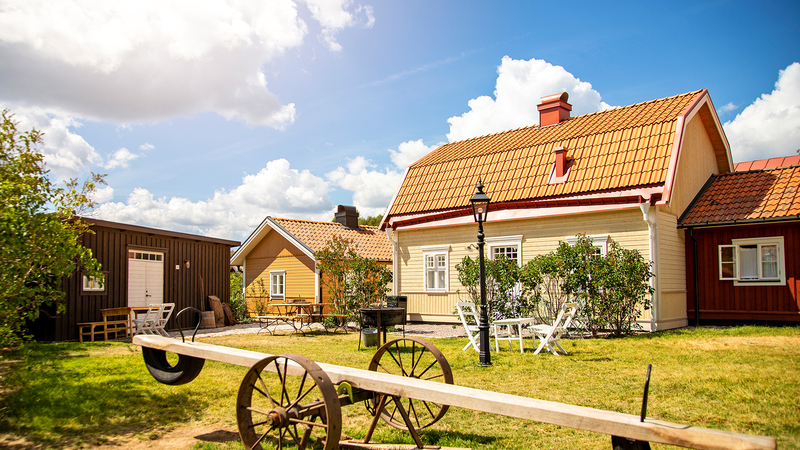 There are several accommodation options: houses where the streets and surroundings are inspired by the early 20th-century Vimmerby – ‘The Tiny Town’ – and small cottages with their own patios close to the forest. If you’re looking for more basic accommodation, we have cabins and caravan pitches with access to showers, toilets, a kitchen and laundry room in our service building, which is open 24 hours a day. 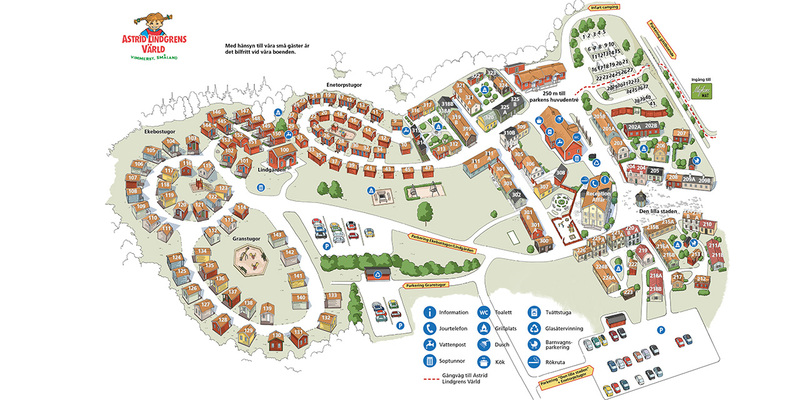 Download the accommodation map in PDF format here.